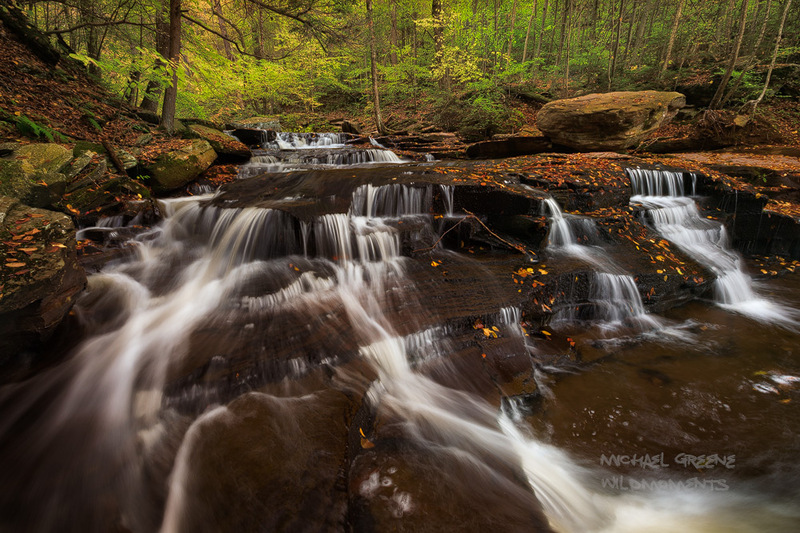 A tricky capture of a series of cascades along the Falls Trail in Ricketts Glen State Park. This image involved some cold water wading to get the proper perspective. Ricketts Glen is near Scranton, Pennsylvania and features 22 named waterfalls and host of unnamed ones as well. It's Pennsylvania's most famous state park and contains 23 miles of hiking trails. Photo © copyright by Michael Greene.